Ryan was super accommodating to myself and a couple of friends. He, as well as the entire staff, is friendly, helpful and ensures you have a great stay. 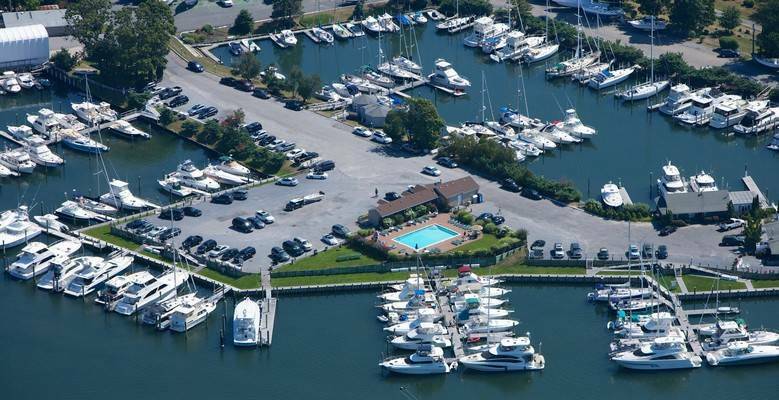 The marina is clean, has great amenities and extremely attentive to its dockers. We will definitely be back! We appreciate this great review and are happy that you found our team helpful and friendly! It's also great to hear that you enjoyed the amenities and the marina. Please do come visit us again soon!! Spent 4 nights, a very enjoyable stay in an extremely well maintained facility. Staff was very responsive and personable, especially helping me resolve some electrical issues. This will definitely be on the list for next year. My one nit pick would be that a first class facility like this really should have its open pumpout. We are already looking forward to your visit next year! Thank you for the review and for your feedback regarding a pump out. We sincerely appreciate you choosing Stirling Harbor Marina! Stirling Harbor is great! Ryan runs a great operation. Staff is friendly. Everything is neat , clean and organized. As usual great job my the dock staff and the marina grounds and facilities were in excellent shape. They had problem with the hot water in the new pavilion showers which was a disappointment given how nice they are compared to my boat. Thank you for your review and for choosing Stirling Harbor Marina. We apologize that we were experiencing issues with the hot water during your visit and can understand the desire for a hot shower after a long day on the water. Please come back and see us again, and we'll ensure that you have a full five-star experience! Thank you for the review and for staying with us at Stirling Harbor! We are glad you enjoyed the marina and our team. Please come back and see us again, and we will try to earn that last star. Wonderful people and a beautifully maintained marina and very accommodating dock staff. As always, my stay at Brewer Stirling Harbor Marina was excellent. The work that has been done is outstanding. The grounds are excellent and the dock staff is always helpful. everyone was extremely helpful and concerned about getting me to a slip close to the shuttle and restaurant because of a bad knee. Love coming here. Just wish you could have stopped the rain on Monday the 13th. Thank you for your review. It was our pleasure to help you out! We enjoyed having you at Stirling Harbor and look forward to your next visit! Wow! Thank you for calling us "the best!" We appreciate you choosing Stirling Harbor Marina and taking the time to leave us this review. Great time at Stirling Harbor. We stayed 4 nights, and next summer look forward to goiung back and spending more time there. Staff was great, nice facilities, a great town and nearby vineyards. It was a pleasure having you at Stirling Harbor, and we look forward to an even longer visit next summer! Thank you very much for the review. It makes us happy to hear that you enjoyed your stay and our team. Until next time! Great staff! Very friendly. Good people on the docks. Will come back again. Looking forward to your next visit! Thanks for the five stars and for choosing Stirling Harbor Marina. Beautiful, well maintained marina with floating docks and easy docking and attentive staff. Restaurant right next to the docks and pool with lifeguard. Shuttle to Greenport on the hour. Thank you for the awesome review and feedback! It sounds like you enjoyed the amenities and facilities at Stirling Harbor. We hope to see you again soon! Would have given them 5 stars except the shore power voltage for the 50A service was too low to operate my AC units. Dockmaster was great allowing us to leave a day earlier than planned due to bad weather coming at no charge. We appreciate your review and feedback. Next time we will try to get you in a slip with more voltage. We certainly understand that weather can change travel plans, and we try to be flexible with our guests. Thanks again! Long way to bathrooms from K dock. Bathrooms not cleaned for two days. Pump out not operating. Otherwise a very nice place, just execute better. Thank you for your review and for choosing Stirling Harbor. While K dock is a longer walk to the facilities, the size of your vessel and availability of two slips together for you and friend left K dock as the only option. We can certainly make every effort to get you on another dock during a future visit! We do have daily, regularly scheduled cleanings of the restrooms, but our sincere apologies that the restrooms were not properly serviced during your visit. We are also sorry that the pump out was down while you were here. It has since been fixed. Thank you again for staying with us. We hope that you will consider staying at Stirling Harbor Marina again, and we will work hard to ensure that we give you a better experience! Fabulous as always Ryan and crew are doing a great job. Thanks for your great review! We agree, Ryan and crew are great assets to Stirling Harbor. Please come back and see us again soon! Beautiful marina, terrific restuarant and great staff! We appreciate this excellent review! Happy to hear that you had a great time at Stirling Harbor, and we hope to see you again soon. Excellent service and facility as always. Great location. We definitely look forward to a return trip. Easy access to town with provided shuttle service. Portobello's restaurant is second to none. Thanks for the great stay. It is always a pleasure having you here at Stirling Harbor, and we are also looking forward to your return. Thanks for the great review and for your business! Thank you for your review and for choosing Stirling Harbor! We are always happy to hear when our guests have a great time and enjoy our team and facilities. Hope to see you again soon. Beautiful marina. Great amenities. Awesome meal at Porto Bello. Thank you for the wonderful review! We appreciate you staying with us at Stirling Harbor and look forward to your next visit. Wonderful facility with great restaurant on premises. Thanks for the great review. We appreciate you choosing Stirling Harbor, and we are happy to hear you thought our facility was wonderful and enjoyed the restaurant. We hope that you will come back and stay with us again soon! Great stay, very protected, clean and friendly staff. Restaurant was very good as well. Hello! Thank you very much for your review and for choosing Stirling Harbor! We are so happy to hear that you enjoyed your stay and liked the facilities and team. Please come back and stay with us again soon! Have been there many times. Things seem to be slipping a little. Heads/showers not as clean as usual. Thank you for leaving us a review and for your many stays at Stirling Harbor Marina. We will for sure look into the restroom issue. We hope that you will continue to choose our marina in the future, and we will strive to provide the standards you are used to from us. See you soon! One of the nicest marinas i have visited, great staff, facilities, pool and restaurant were all excellent and to some extent above. Short walk to town, shuttle if you feel like relaxing. We really appreciate the great review, and we are happy to hear that you enjoyed your stay with us! Our team strives to go above and beyond for our guests. Please come see us again soon. Thanks for the five stars and the kind words! We strive to keep our marina in outstanding condition, and we are happy that you found it to be nice and clean. Please come visit us again soon! Outstanding facilities (both in terms of being updated and CLEAN) and a very friendly staff. The Marina itself is situated a little outside of town but there is a shuttle that runs every hour. Also there is a restaurant on site and lots of green/ picnic areas throughout the grounds to stretch your legs. For the price, I’d say that this is the highest value marina that we’ve stayed at to date. Thank you for the great review! We are very happy to hear that you enjoyed our facilities and our great staff. Thank you for providing extra details that others might find helpful as well. We sincerely appreciate your business and hope that you come back and stay with us again soon! Beautiful marina, very well protected and new facilities. Porta Bella restaurant nice plus, too.... We enjoyed a delicious dinner right on sight at the marina. We'll be back!! This is the second time that we have stayed at Sterling Harbor Marina. In a word everything was excellent. The staff is very attentive, the restaurant is great, the marina as a whole is well maintained. Patrick is very professional and a gentleman at all times. We look forward to coming back next year and for many years to come. Great Marina. Very well maintained. Patrick was very helpful. Had a info packet available. Shuttle to town was very good. No hot water in the men's bathroom our first night. Very happy we stopped here. We spent two nights on the K dock which is quite far from everything and especially inconvenient to the heads, showers and pool. The water and shore power post was oddly located so that it was necessary for the cord and hose to cross the finger or ramp and they posed a tripping hazard. A loud halyard slapping two boats away ruined one night's sleep. Otherwise, the marina was fairly quiet and very clean. The courtesy shuttle into town is nice since there is not much in the immediate area. All that said, we have stayed many times over the years at this marina and it is still one of my favorites. Extremely comfortable Marina. Clean and fresh. Patrick and the team took great care of us. Beautiful marina and facilities. Location is perfect. This is by far my favorite Long Island marina including the Long Island Sound and Connecticut. It is resort-like with an excellent restaurant on the premises along with the usual Brewer/Safe Harbor Marina amenities. Bathrooms are fantastic with some having private dressing areas. Beautiful club house makes you feel like you're on vacation in the Caribbean. Greenport is about a 1 mile walk or take the marina's courtesy shuttle. Staff is professional and accommodating. Docks are up to the usual Brewer/Safe Harbor standards. Highly recommended. We liked everything about Brewer Stirling - it was clean, people were friendly and had some nice amenities. However, when we went to gas up prior to leaving, we were told they had no fuel. They said the fuel truck was coming the next day. This was a problem for us since we were timing high tide at Moriches and had to try to find fuel. Otherwise, I would recommend it. It is an amazing marina. The facilities are beautiful and clean and safe. I was traveling with 3 boats and the accommodated us by providing slips next to each other. They have daily runs to and from the town of greenport. We will Definately be back again. Totally insufficient dock hands. Only one one duty when we arrived. Did not provide welcome and info package. He had to leave the fuel dock to run around the marina to see if the transient slip was actually empty and assist us in. When we wanted to use the pool was informed we could not because only one dockhand on duty. This in the height of the summer sailing season. Great marina with a great staff and nice locals as well! The marina is absolutely beautiful and the town of Greenport is only about a mile away. There are tons of restaurants and shops and waterfront fun! There is also a nearby brewery and a winery! Great time at the rendevous! 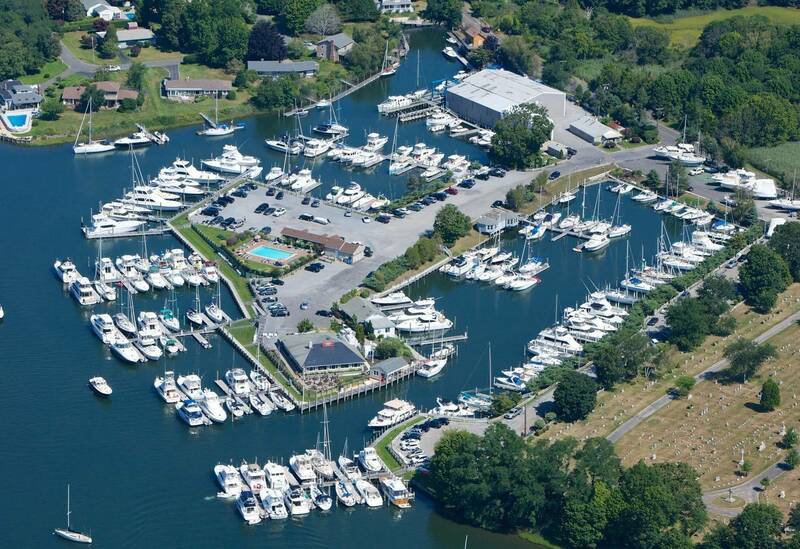 This is one of our favorite marinas. Very well maintained and clean facilities. Great location away from the fray, but close enough to the town center to walk, or take the free shuttle to make it easy. The Porto Bello restaurant on site is also excellent. We will definitely make this a regular stop. Always a great time at Sterling! We love it there. 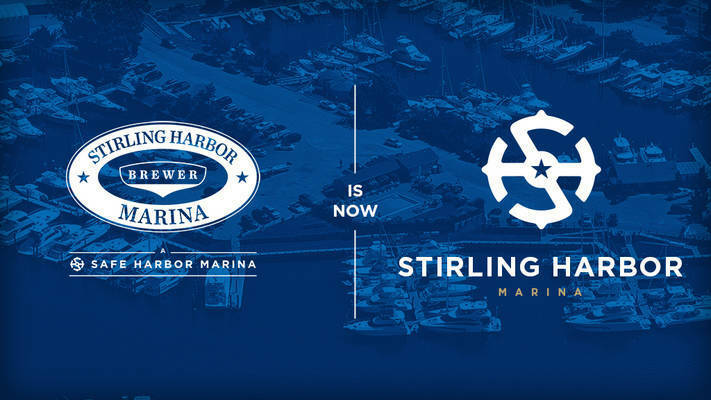 Previously known as a Brewer Yacht Yard facility, Stirling Harbor Marina is now proudly owned and operated by Safe Harbor Marinas after the two companies merged in 2017. Whether it’s the serene setting in eastern Long Island Sound, or the skilled service team’s reputation, you will feel at home at Stirling Harbor Marina. Ten acres and 200 slips welcome boaters who seek a sheltered location, safe from the wind and yachting traffic. 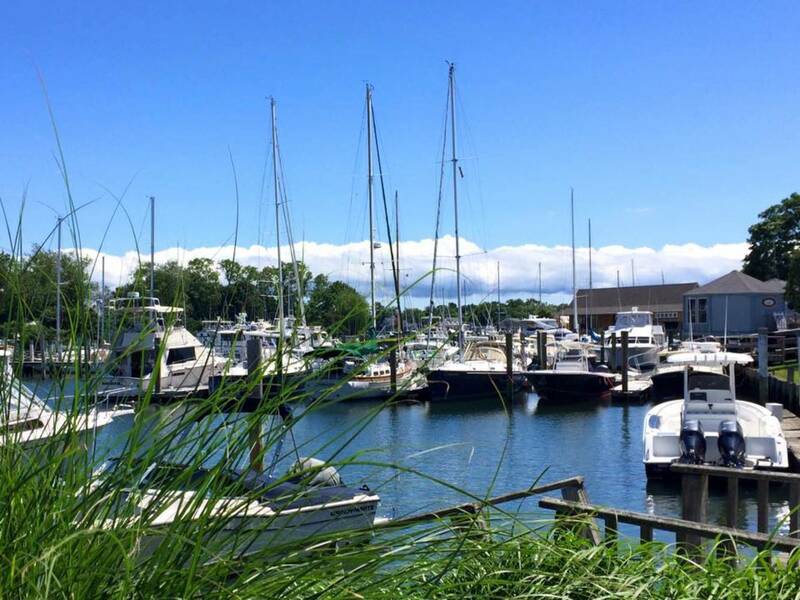 Stirling Harbor Marina, coined the ‘Jewel of the North Fork’, is located on its own peninsula in the northeast corner of the harbor. At the entrance to this protected harbor, a memorial for those lost at sea stands proudly to commemorate fine mariners. 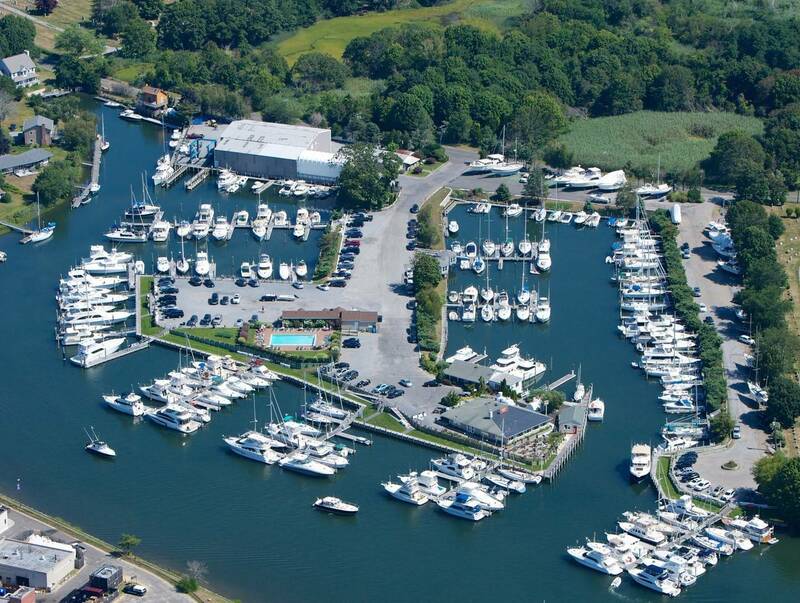 Adjacent to the marina is its sister facility, Greenport Yacht Yard, with which we enjoy a close relationship. Our two facilities enable us to ensure our customers receive the added value of our combined services and amenities.